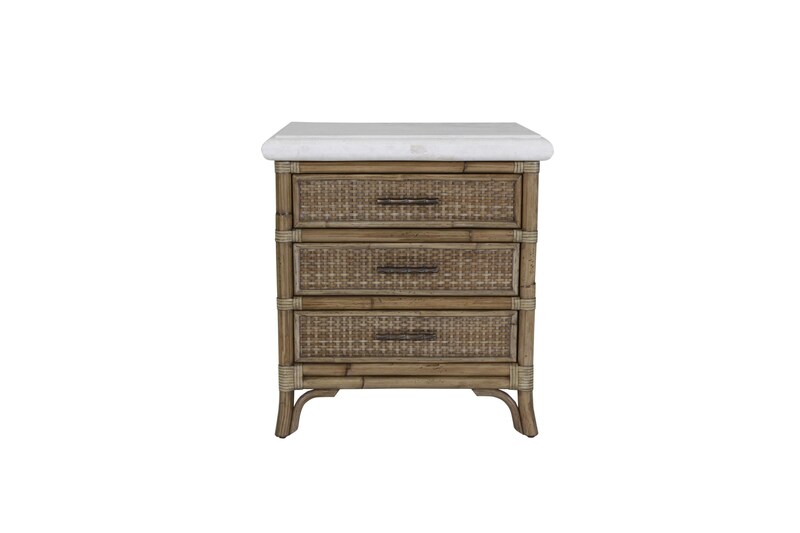 Add a functional yet stylish storage solution to your bedroom with this three drawer nighstand. a rattan frame with sandal wood finish and a smoke agate stone top create the perfect tropical look for your bedside. The Mandarin 3 Drawer Nightstand by C.S. Wo & Sons at C. S. Wo & Sons Hawaii in the Hawaii, Honolulu, Oahu, Hawaiian Islands, Waikiki, Diamond Head, East Honolulu area. Product availability may vary. Contact us for the most current availability on this product.